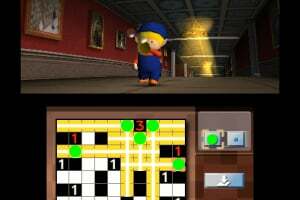 Brought to you by the world famous puzzle maker Nikoli, engage your mind with 5 diverse and challenging puzzles inside this authentic 3DS puzzle game! 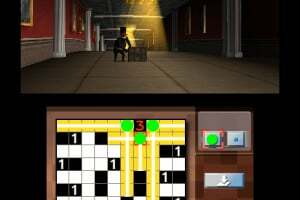 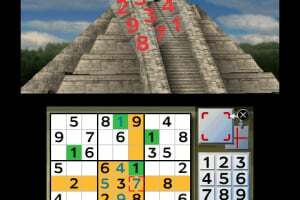 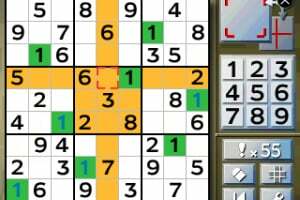 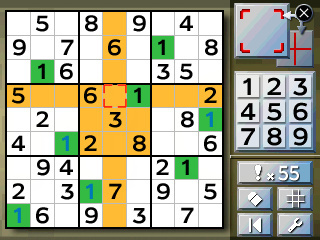 Take the game on the go, play on breaks, or relax at home with this invigorating puzzler. 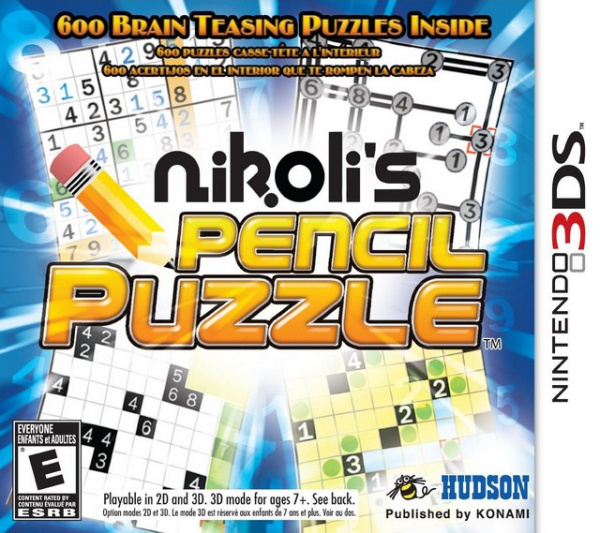 Offering a variety of games at several difficulties, Nikoli's Pencil Puzzle brings fan-favorite puzzles right to your finger tips! 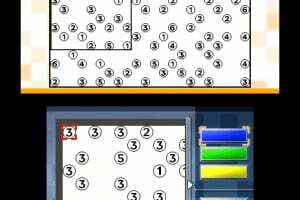 Boxes - Divide the board into rectangles where each piece has to be included with the digit that will be the size of the boxes. 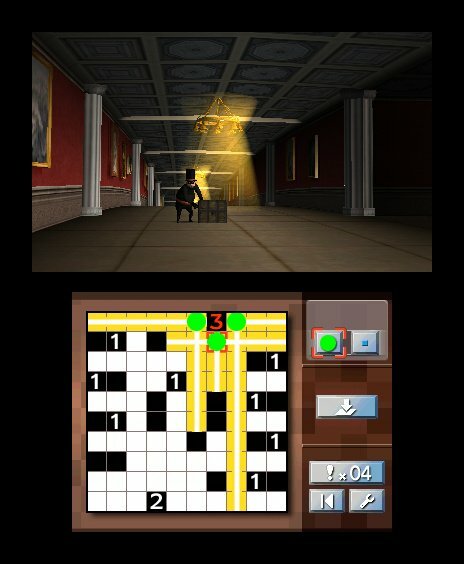 Museum - Light up an entire hall without overlapping the lighting with the limited number of lights given to you. 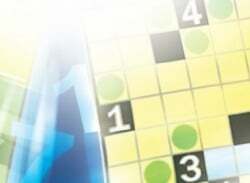 Remember, the light illuminates until it hits the wall. 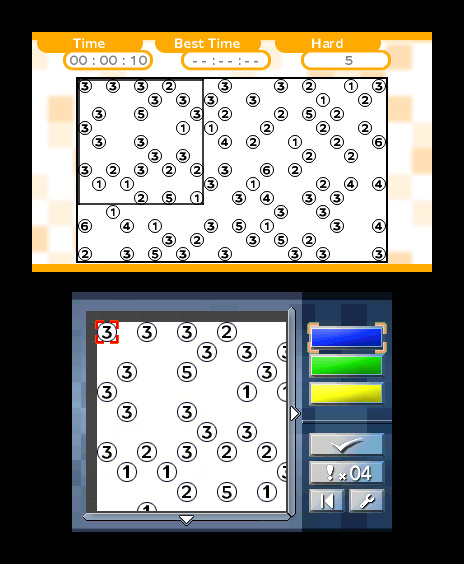 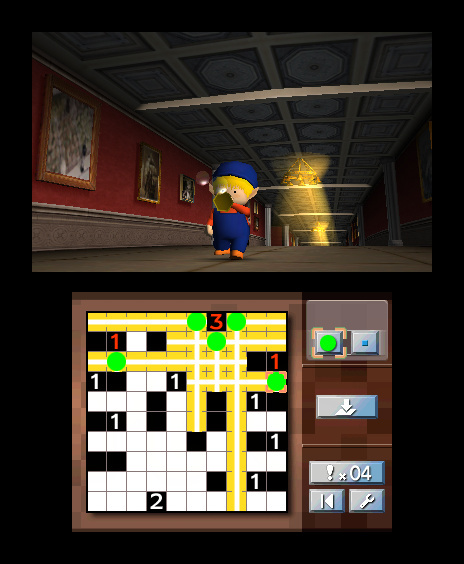 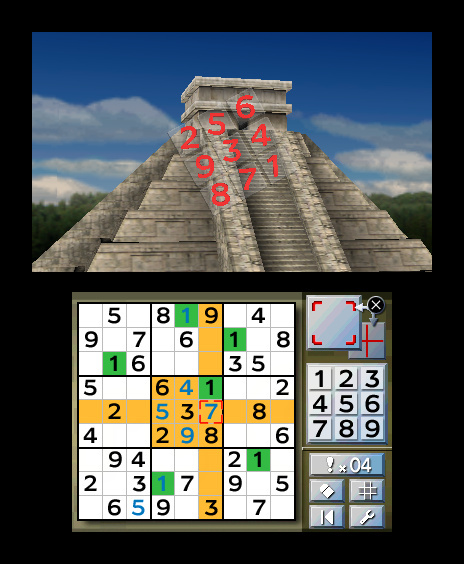 Exclusive 3D Puzzle - Unlock an exclusive puzzle, specifically created for the Nintendo 3DS. 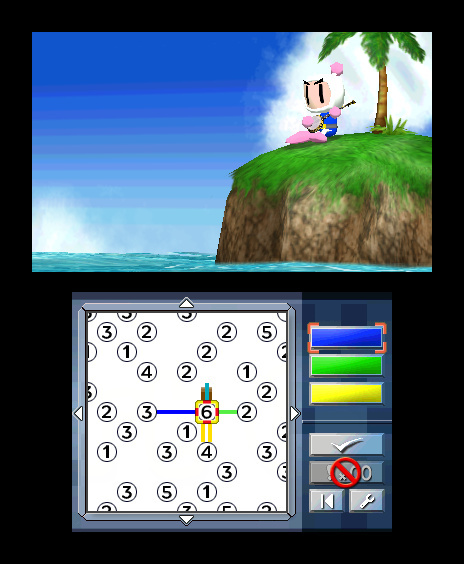 Choose Your Controls - Utilize 2 sets of controls using either the stylus or the control pad. 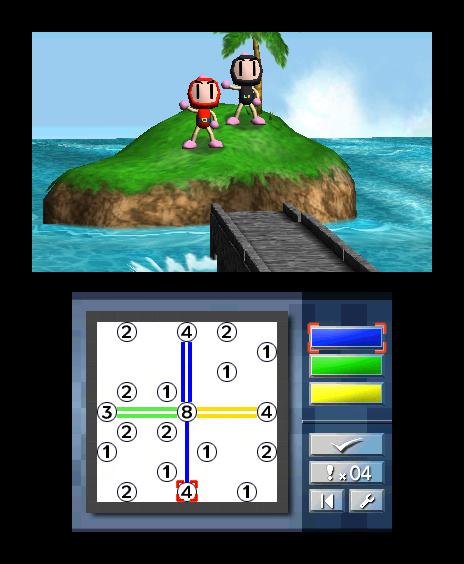 Manage Your Game - Dual screen support with lower screen displaying the game and the upper screen showing the pieces in 3D.